Every girl wants a better facial features, right? Especially in this competitive society. Hahahaha. I know many might debate that look doesn't matters but the truth is, it does, in a way. Accept it. I am not trying to encourage plastic surgery but I am not against it either as long as it's appropriate. But plastic surgery might be a bit risky. If a slight touch that makes you feel more confident/ less inferior, why not? A tiny fix that gives a total lift on the appearance, why not? Right? I'm sure most of you all know that i've been in Rachel Chew Clinic for almost 2-3 years already. For lasers treatment, facial treatment, botox and fillers treatment. The reason why they had all my trust is because Dr.Rachel always know what suits me best. Here's my face transformation all this while after Rachel's Skinartesse Heart Face Design using Botox and Fillers to achieve a smaller face and no more tired looking face. As you all see, i used to have chubby face and not symmetrical face shape. 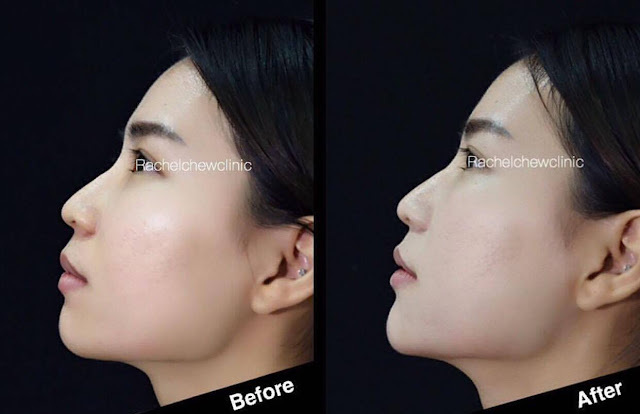 Doctor Rachel did botox to reduce my jaw muscles and fillers to fill up the sunken part of my face. At first, i really thought that botox is just for wrinkles, old people. But it is NOT! Botox can helps to improve the symmetry of the face and reduce muscle contractures and spasms. Like what i did here, it works well for me. 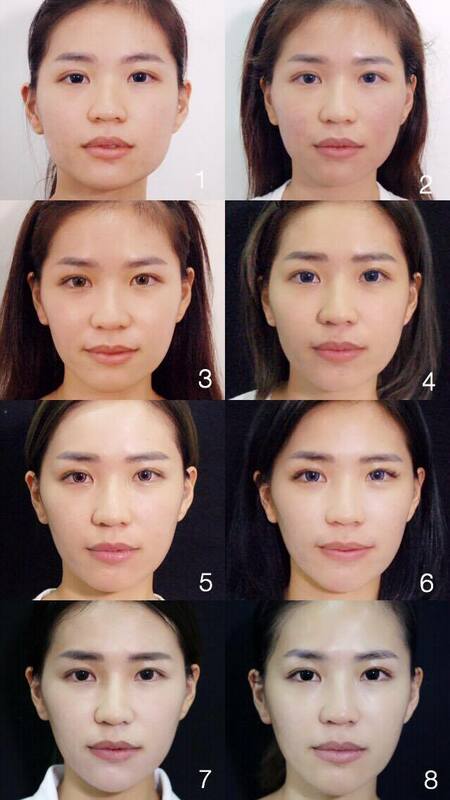 Saw the changes of my face shape? The best part is.. it is Fast, painless and NO downtime at all. 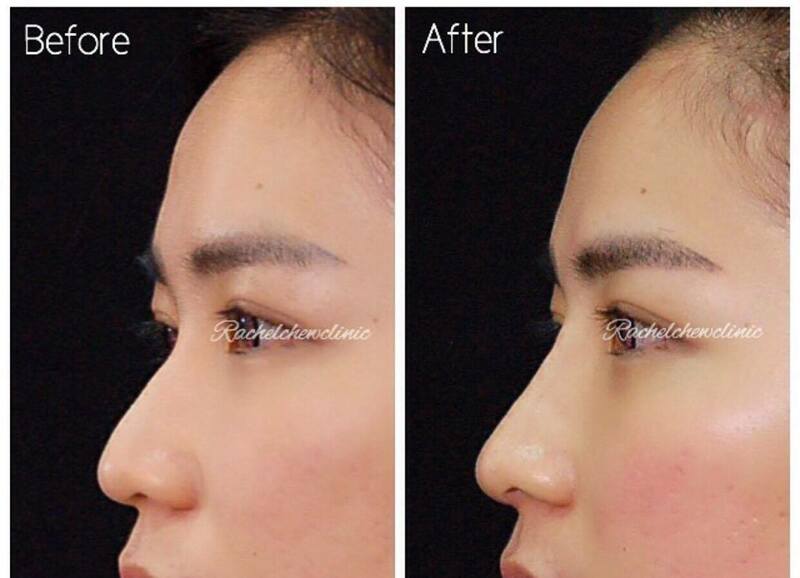 Besides that, i also did my chin fillers to enhance my face shape few months ago. & my nose fillers to create a sharper facial features. Goodbye to nose shading like finally! I know there is a lot of aesthetics treatment all around. Nowadays, People aiming for bigger eyes, sharper face, taller nose and thicker lips etc. But for me, it is not just about having the same typical features to define your beauty. It is more important to be the better version of yourself. Everyone has different facial features, it is really hard to advice what treatment you need to undergoes. At the end of the day, It is all about the ratio proportion of each individual face to create a more natural looking face without going under the knife. In Rachel Chew Clinic, they aimed to enhance your face accordingly to everyone needs.